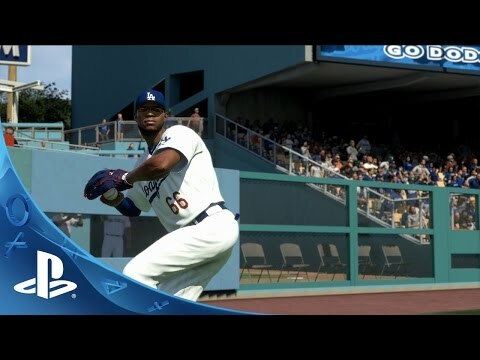 Baseball is better than ever in MLB 15 The Show. *Multi-player and all online features for this product are no longer available. The 10th edition of the franchise, MLB 15 The Show is a more immersive and exciting baseball experience than ever before with substantial improvements to both gameplay and graphics. Year-to-Year Saves – Users who purchased MLB 14 The Show will be able to continue their Franchise and Road to the Show progress in MLB 15 The Show. Saves between the two releases will be forward-compatible, meaning you never have to worry about starting your Franchise or Road to the Show seasons over! Universal Rewards – Simply playing the game earns Stubs that can be spent on licensed equipment, Road to The Show improvements, and virtual baseball cards. Legends – We’re introducing 30 Iconic MLB Alumni into our virtual player card pool, 1 representative for each team. These players span every historic baseball era of the last 70 years. Like all of our Universal Rewards, you have a chance of finding a historic virtual player card to add to your collection and utilize throughout MLB 15 The Show. And that’s just the beginning. A new Radio Show, Directional hitting, vastly improved load times, and a completely overhauled Diamond Dynasty mode help MLB 15 The Show prove that Baseball Is Better.